I was on reception at the dermatologist Susan Bard. Her professional qualities are top notch. She examined me, made the correct diagnosis, and prescribed a treatment. Everything went for three days. Thanks a lot to her! 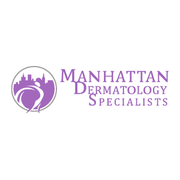 Manhattan Dermatology is New York’s top rated Dermatology Practice. Best rated dermatologist in NYC Dr. Susan Bard provides treatment for a full range of dermatologic ailments including acne, rosacea, eczema, psoriasis and warts. A wide variety of cosmetic procedures such as Botox, dermal filler, laser skin tightening, acne scar treatment and stretch mark treatment are offered using the latest techniques and technologies available in USA. For more information or to schedule an appointment with the one of the best rated NYC Dermatologist (Laser Cosmetic Dermatology of NYC), Dr. Bard of Manhattan Dermatology Specialists please contact our Midtown NYC office by number +1 (212) 427-8761. Keywords:dermatologists nyc, dermatology nyc, dermatologist nyc, manhattan dermatology, manhattan dermatologists, manhattan dermatologist, Age Spots, Bruises, Cellulite, Genital Warts, Melasma, Rosacea, Red Dots on Skin, Acne, Acne Scars, Seborrheic Dermatitis, Scars, Spider Veins, Stretch Marks, Skin Discoloration, Skin Cancer, Sun Damage, Psoriasis, Plaque Psoriasis, Scalp Psoriasis, Age Spot Removal, Bruise Treatment, Botox, Cellulite Removal, Cellulite Treatment, Cortisone Shots, Genital Warts Treatment, Glycolic Acid Peel, Mole Removal, Photodynamic Therapy, Melasma Treatment, Roscea Treatment, Seborrheic Dermatitis Treatment, Scar Removal, Stretch Mark Removal, Skin Tag Removal, Tattoo Removal, Intense Pulsed Light, Keratosis Pilaris, Wart Removal, Acne Treatment, Acne Scar Treatment, Psoriasis Treatment.